Thanks to the lovely Sam who hosts this meme at Taking On A World of Words. 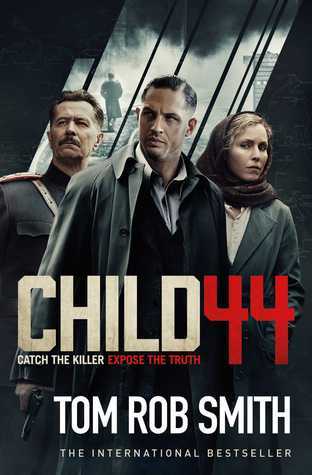 I’m reading Child 44 by Tom Rob Smith. I’ve heard good things about this novel and also about the film, which I plan on watching once I’ve finished the book. I’ve read almost half of it so far and it is definitely picking up pace and becoming more exciting. I also have made a small start on Bridget Jones’s Diary on my Kindle. A fluffier story for my reading session before sleep! 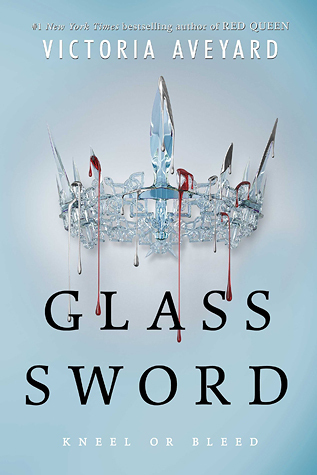 I just finished reading Glass Sword by Victoria Aveyard, the second instalment in the Red Queen series. I’ll be posting my review tomorrow in line with the release date so keep an eye out! I really enjoyed this book. I did think at the beginning it was a little slow but I ended up really enjoying it. There were lots of interesting new characters, a good dose of romance and lots of action. I’m still reeling from one of the deaths!! I’m not sure what I’ll read next. I need to reread a couple of books for a challenge this month so maybe Holes or The Lovely Bones. I also have my copy of The Nightingale waiting and a few arcs. Who knows! What have you been reading this week? Do you have any thoughts on the books I’ve mentioned? Feel free to follow me on Twitter and Goodreads. Comments are always warmly welcome. Ahhh, Glass Sword! 😀 I’m glad you liked it! I can’t wait to dive into the book! It’s really good! Will look forward to seeing what you think! Victoria Aveyard’s books sound interesting, I’ll have to look them up 🙂 Thanks for sharing! They’re good. They’re not totally unique in their concept, but they are well written and addictive! Bridget Jones looks like the perfect light read. I need a break from death and drama. This is how I felt! Reading Child 44 is fine in the day, but at night I want to curl up with a light-hearted read! I tried reading Bridget Jones before and couldn’t get into the diary style so gave up. I’ve read Mad About the Boy but didn’t love it. For me, one of those rare occasions where the movie was better. I haven’t read ‘Holes’ in forever but it was a favorite growing up. I read it more than once which was rare for me. Happy reading and thanks for participating in WWW Wednesday! I haven’t read Holes for 12 years! I really enjoyed it and I need to reread a book for a challenge and it seemed the perfect opportunity! Thanks for visiting! I can’t wait to read your review of Glass Sword!! So glad you liked Glass Sword. I’ve been considering reading that series, but I’ve seen such mixed reviews. Happy reading! I thought it was good as a sequel. Neither book is a 5* for me, but I’ve awarded 4*’s on Goodreads and look forward to the next instalment! I’m glad to hear you enjoyed Glass Sword and I’ll look out for your full review tomorrow. Thanks for visiting my WWW (https://clairehuston.wordpress.com/2016/02/10/www-wednesday-10th-february-2016/) and happy reading! That’s what I thought! Child 44 requires more concentration, whereas Bridget Jones feels like I’m going to bed with one of my girlfriends. It’s fun! 🙂 thanks for visiting!